Take a trip to the Wizarding World of Harry Potter at Universal Studios in Orlando. Travel between Hogsmeade and Diagon Alley on the magical Hogwarts Express. Step inside Gringotts bank and take the thrilling new ride “Harry Pottter and the Escape from Gringotts.” Watch the wand choose the wizard at Ollivanders and take a flight on a Hippogriff by Hagrid’s Hut. Then, head into Hogwarts Castle and jump on a broom with Harry for a “Forbidden Journey” before strolling through the shops of Hogsmeade and Diagon Alley, sipping a delicious Butterbeer! Clips from Walt Disney World’s magical ‘Wishes’ Fireworks display. Always an impressive show! I’ve always had a thing for manatees. What’s not to love? The adorable sea cows always seem to be grinning as they glide through the water (or so I had seen on TV). 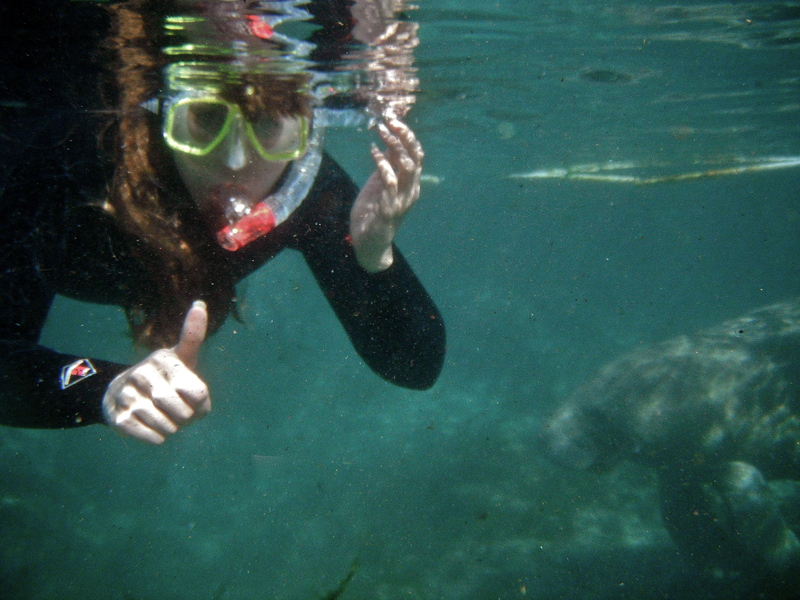 So on a recent trip to Florida, when I learned you could actually get in and snorkel with the manatees, this became an immediate ‘must-do’ activity. 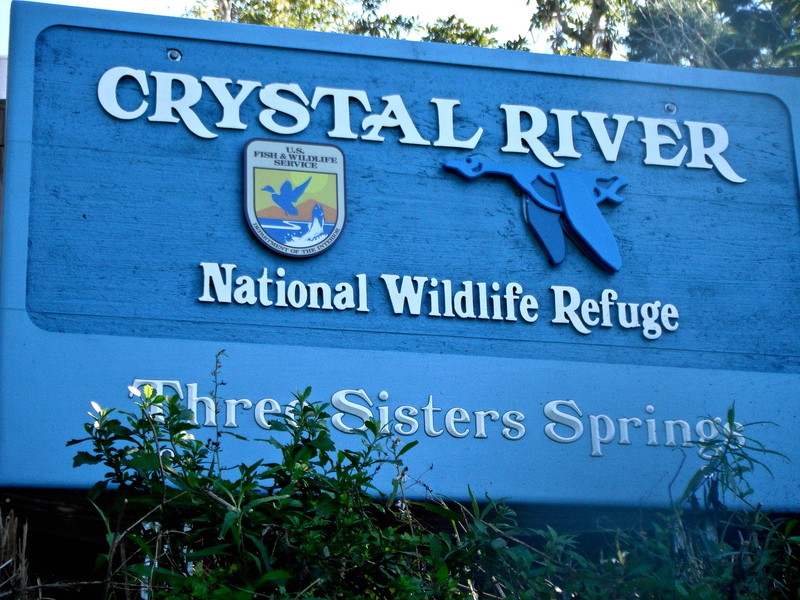 We made our way to Crystal River, Florida (where everything has my name!) and stayed at the Port Hotel and Marina, where Elvis Presley stayed during the filming of ‘Follow that Dream” in 1961. Looking out the window, we could see manatees playing in the Crystal River, their heads or big, flat tails popping up out of the water. Watching them in their natural habitat made me even more excited to get in and swim with them. We watched a short video on the laws protecting manatees, and how to safely and respectfully interact with them. Then we donned our wetsuits and headed out to meet Captain Charlie and take our boat ride down the Crystal River on our way to Three Sister Springs to find the manatees! Allow them to come to you. 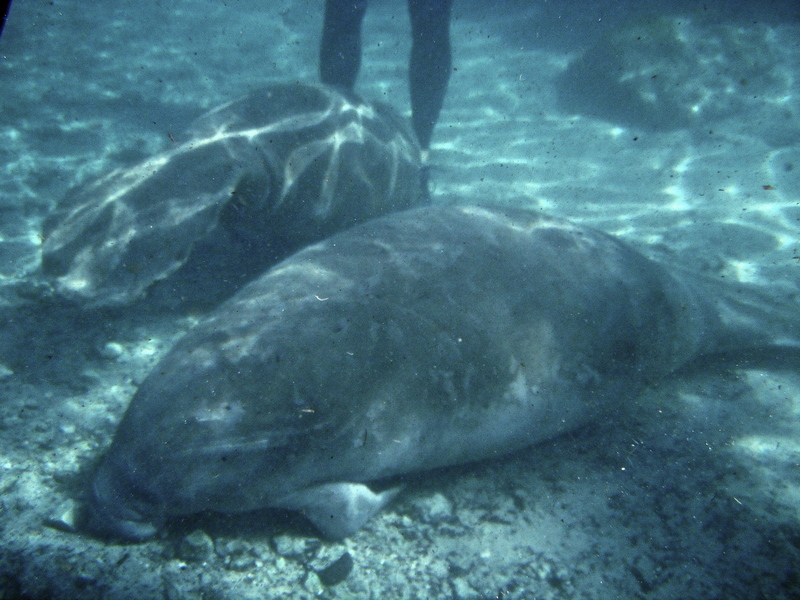 Never chase after a manatee, bother it while it is resting on the bottom or interrupt a mother and calf. Only touch the manatee with one hand. Avoid scratching the algae off their backs and be careful not to step on them (or hit them with a paddle). 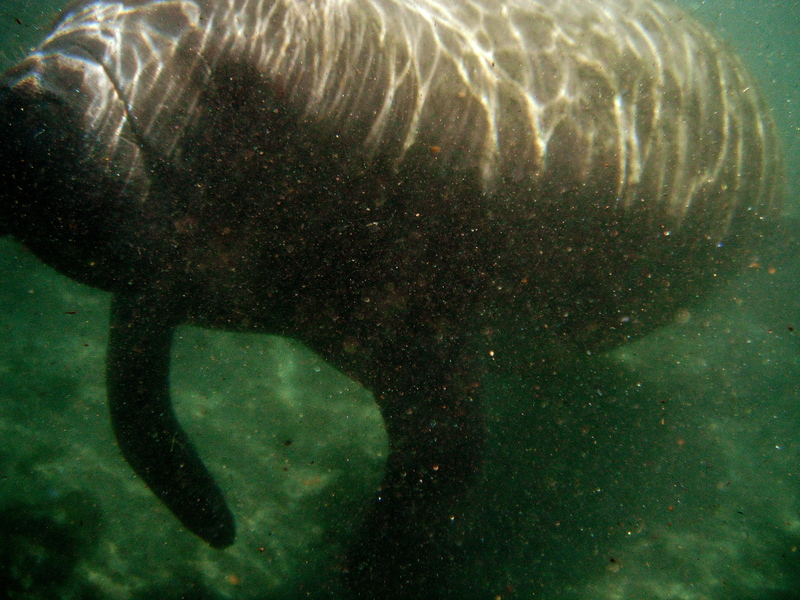 DO NOT go in the designated “No Entry – Manatee Refuge” roped off resting areas. Take only memories and as many photos as you can while keeping a safedistance. On a beautiful sunny day, Three Sisters was a busy spot with lots of kayakers, snorkelers and the odd paddle-boarder all hoping to see the gentle manatees in the warm 72 degree Fahrenheit spring water. 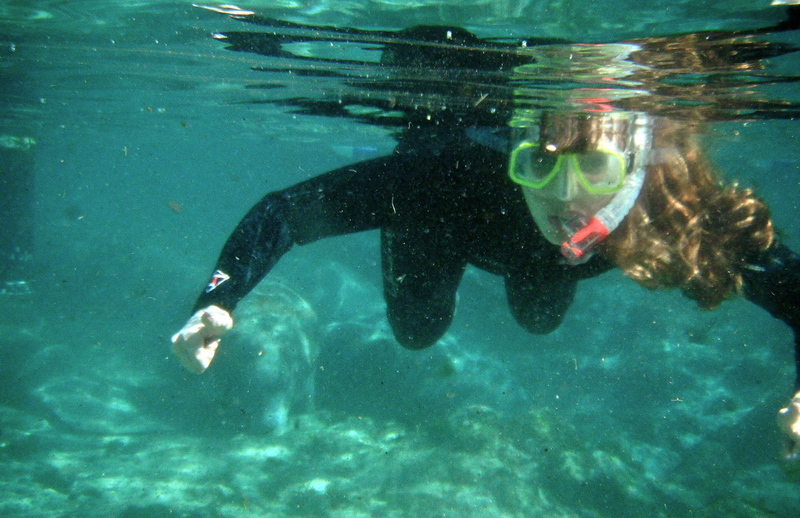 Masks and snorkels on, we jumped in and within minutes I had come face to face with a manatee! Slowly reaching out a hand, the manatee swam right next to me, letting my hand run along its soft, algae-covered body, before continuing on itsway. Soon I was by the designated “No Entry – Manatee Refuge” area, where inside, at least 20 manatees were resting on the bottom. They seem to know where this space is and head there when they want to be left alone. I hovered outside the barrier, watching them take turns rising to the surface to take a breath before returning to a resting state. Out in the river, the water was fairly churned up, but once inside the narrow channel heading into the springs, the water was much clearer. Here, a mother and her calf swam straight at me, allowing me to pet them both on their way by. Manatees in general are cute, but a baby manatee is adorable and even more playful. 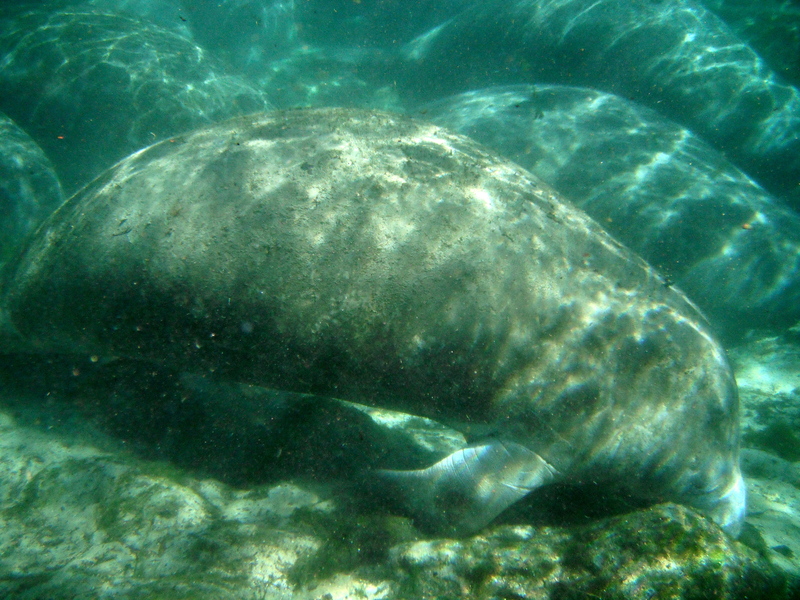 Many of the manatees today showed battle scars from being hit by boats. This is a serious issue in Florida. Under the Endangered Species Act and the Marine Mammal Protection Act, both the State of Florida and the U.S. Federal Government oversee the protection of these beautiful creatures. Laws are strictly enforced to ensure the safety of the manatees and as we snorkeled, volunteers and conservation officers were there to make sure everyone was following the rules. 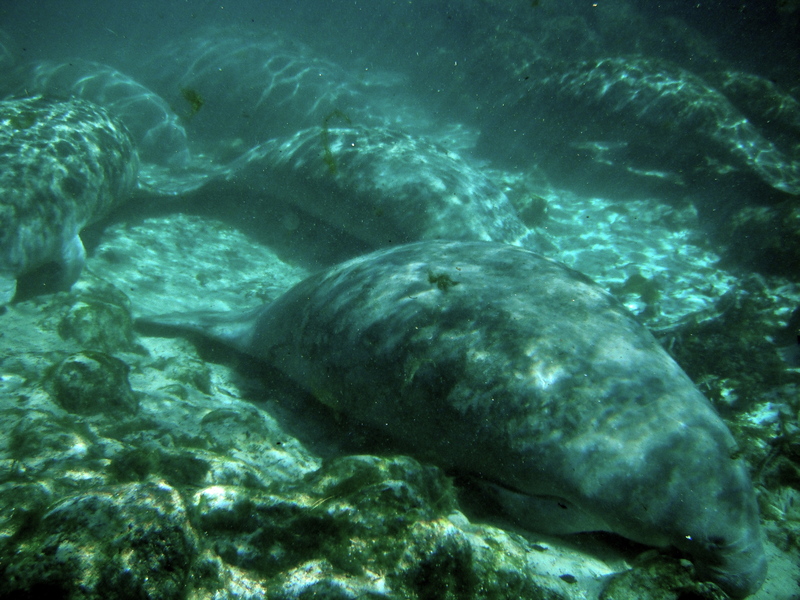 By the time our two-hour snorkel was over, I had pet five manatees and seen over 40! What an incredible way to spend a few hours in Florida, getting to know the state’s gentle giants. Crossed another thing off my travel bucket list when I got up close with the manatees, snorkelling with them in Crystal River, Florida. While out on the water in Florida, most people are looking to avoid an encounter with the wetlands 8-foot alligators. However, as we board our airboat with Captain Bob and head out into the Indian River County Marshlands in Vero Beach, gators are exactly what we are hoping to find.